In its September 26 judgment upholding the conviction and 50-year of sentence of former Liberian President Charles Taylor for his contribution to war crimes and crimes against humanity committed in Sierra Leone during that country’s civil war, the Appeals Chamber of the Special Court for Sierra Leone cited approvingly an article written by Professor Alexander “Sasha” Greenawalt, who is visiting St. John’s from Pace Law School this semester. The article, which was Professor Greenawalt’s student note, is entitled, “Rethinking Genocidal Intent: The Case for a Knowledge-Based Interpretation,” 99 Columbia Law Review 2259 (1999). The citation appears in a portion of the opinion discussing the elements of aiding and abetting international crimes, a matter that has recently divided international criminal tribunals faced with cases that, like Taylor’s, deal with cross-border assistance provided by government officials in one state to groups engaged in armed violence in another state. The Special Court for Sierra Leone is a unique hybrid international/domestic court established by agreement between the United Nations and Sierra Leone. 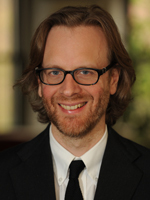 In addition, Professor Greenawalt is presenting his current paper, “International Criminal Law for Retributivists,” at Columbia Law School’s International Criminal Law Colloquium today. The article is forthcoming in the University of Pennsylvania Journal of International Law.